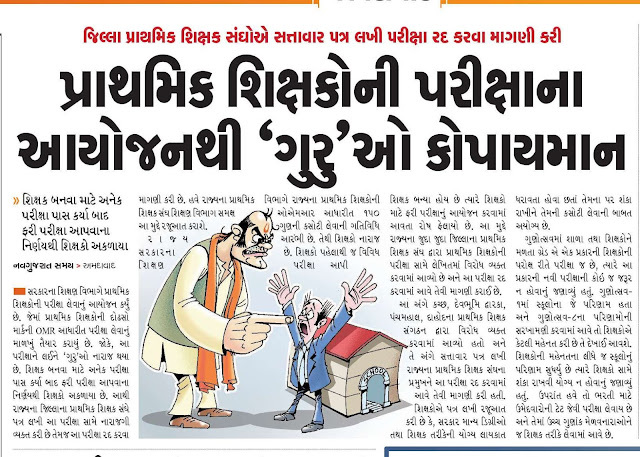 SHIXAK SAJJATA SARVEXAN KASOTI Teachers will also be examined for the first time in the country for the first time in the state to improve the level of education department gujarat in the state. In the 150 marks exam, gujarat primary education will be asked questions about the syllabus from the syllabus and their teaching style and on the basis of their results, the training of teachers will be organized. 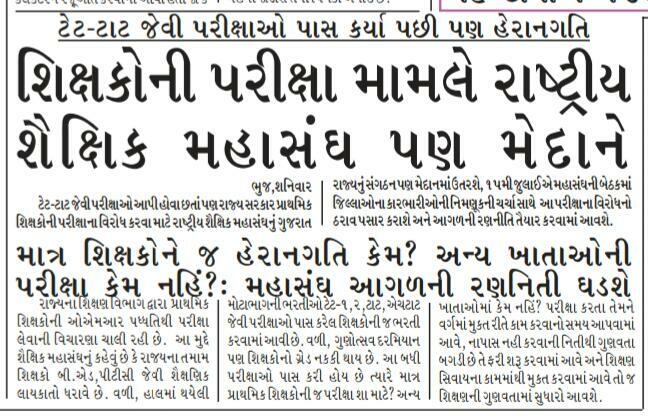 SHIXAK SAJJATA SARVEXAN KASOTI Questions have been raised over the past several years in Gujarat. A significant decision has been taken by the education department, particularly against the cases of teachers not teaching teachers in government schools. For the first time in the country, the education department will be organizing a teacher preparedness test for the teachers of the Government School. An estimated 2 lakh teachers working in 36,000 government schools in the state will have to give this examination. Planning for the examination of teachers in the next August or September is decided at the primary stage. After this examination, teachers' training has been organized. Various programs for improving the development and performance of teachers will be organized.